We love spending time in the outdoors! Many summers, we spend a lot of time at a cabin in the woods. We do a lot of normal cabin/camping activities – hikes, horseshoes, campfires, cards, board games, etc. But there are times that I like to try doing different things with the kids to avoid any of those dreaded “I’m bored” phrases. Scavenger hunts are always fun (like this bug scavenger hunt). But, simple nature painting crafts are also great options! So, try nature paintings! Let the kids collect some sticks, leaves, branches, pinecones, etc. on a walk. Then, use those items to paint with. 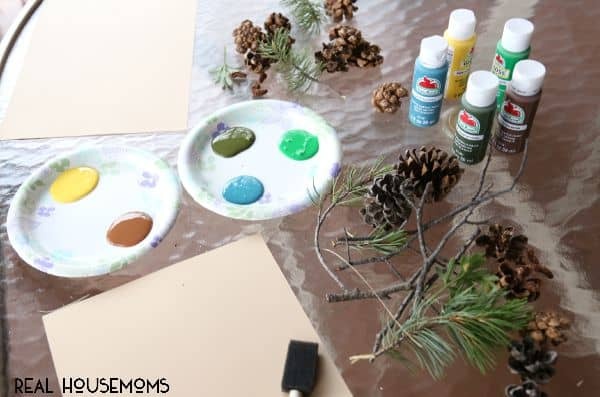 It’s an easy activity to do on a trip because you only need to remember to bring a few supplies with you – just some cardstock, a few natural paint colors, and maybe a paint brush or two (but honestly, we didn’t even hardly use the brushes). Then, let everyone get as creative as they’d like. Dip the leaves in the paint and do impressions. See the different textures that different items create. Use the sticks as paintbrushes. 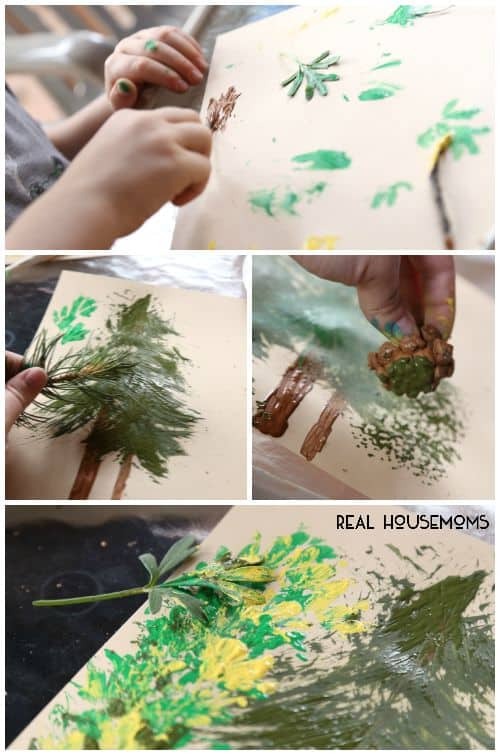 Or even paint a whole forest scene. 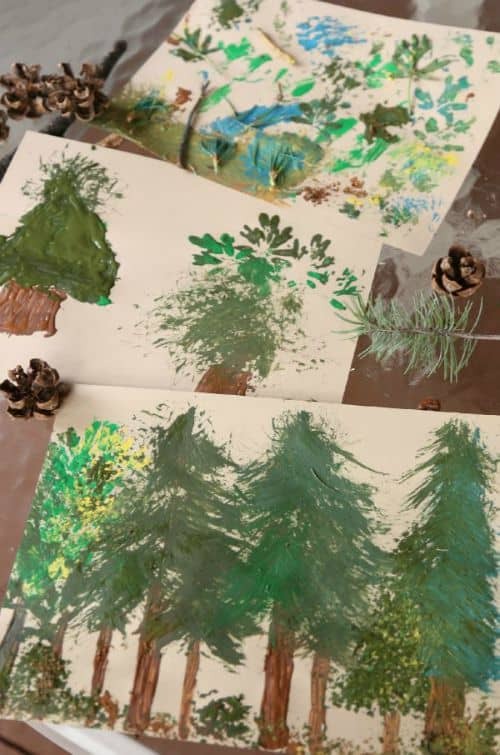 I loved using the pine needles to paint pine trees! So fun! This kept the kids occupied for so long! They loved it! So this is definitely a great activity to do with the kids! For more nature-themed activities, be sure to check out this stick bug craft or these simple DIY bird feeders.